On December 6, 1989 a lone gunman targeted female students in a second year engineering class at École Polytechnique in Quebec. Twenty-eight women were shot, 14 women were killed. 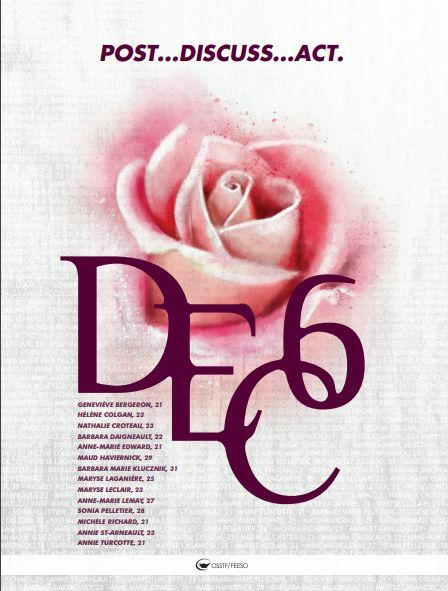 December 6 is recognized as The National Day of Remembrance and Action on Violence Against Women to both honour the victims and to take action to end gender-based violence. We ask students and staff at GCHS to be part of taking action to stop this violence.